I came across your website when doing some family history searches for my father. I am proud to say that my dad, Sydney Trewin, was a RAAF pilot on B-24s in Australia during 1944, and was a member of FLTLT Parson's crew in 531st Squadron. Dad, now almost 83, is currently in a nursing home in St Marys in western Sydney. His health is fading gradually, but his memory of his times in the RAAF are still very clear, I'm pleased to say. He will be delighted to know that I have found your website. I would be keen to hear from any of your members from that era who may remember my Dad. 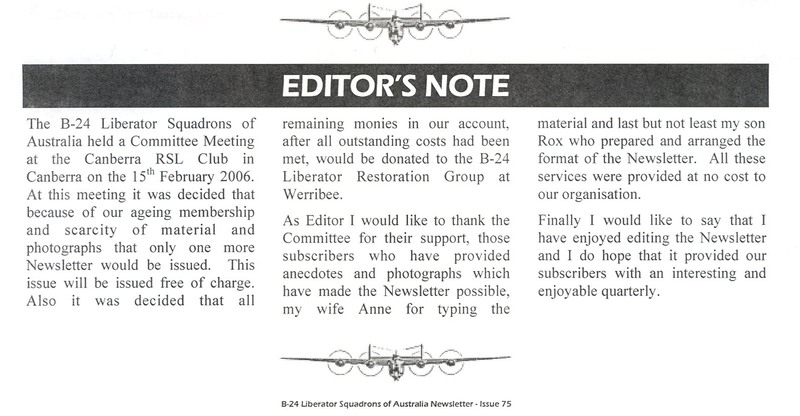 The following Editor's Note is from the most current issue of the B-24 Liberator Squadrons of Australia Newsletter. 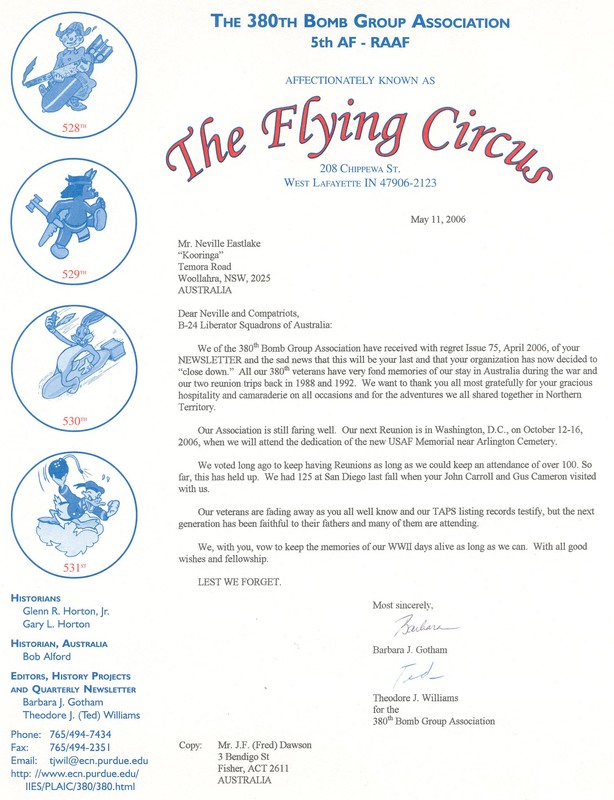 A copy of the letter we sent to them in response regarding our Association follows on the next page.